What happens when we decide to talk about a movie that cannot be described in words? Well, you’re about to find out with this episode. 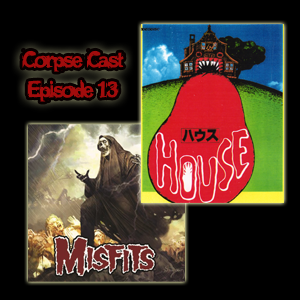 If you haven’t guessed, we talk about 1977’s Japanese trip Hausu. We also talk about Misfits as their third wave kicks off with the first album with original content in The Devil’s Rain.